As he's drawn deeper into an adult world of corruption, scandal, and murder, Jasper uncovers the shocking past still chasing his mother - and now it's chasing him too. 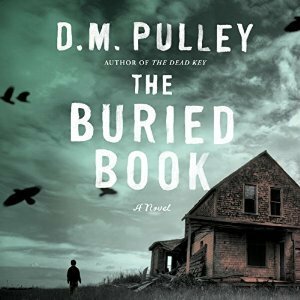 I first discovered The Buried Book by D.M. Pulley in my Prime Library through Amazon and earmarked it to read. 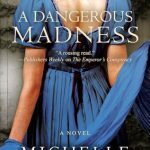 In January Audible had a sale offering up all the daily deals. While browsing, I saw that Luke Daniels narrated this and one-clicked. I am so glad that I did, as The Buried Book proved to be an addictive tale. It’s 1952 Althea Leary leaves her nine-year-old son, Jasper with her brother and disappears. Abandoned on his uncle’s farm with nothing but a change of clothes and a children’s bible Jasper attempts to be a good boy as his mother requested, but when weeks turn into months, he becomes desperate to find out where and what happened to his mother. The Buried Book delivered a vivid look at 1950’s farm life from the political climate, prejudice and their daily survival. Jasper begins asking questions and searching in seedy places. What he discovers shocks and confuses him. The tale is told from the perspective of a nine-year-old boy and Pulley did a great job of capturing his voice, thoughts, and tone. Through his eyes, we experience life and the frustrations he faces trying to get answers. Pulley weaved rich details into this mystery that brought danger and suspect characters all while revealing a much more substantial corruption. I enjoyed the full mystery but appreciated how he allowed the reader/listener to experience farm life from milking to social ladders. 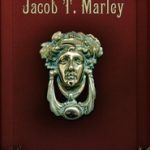 The author has a smooth, soothing writing style that quickly pulled me in and allowed me to connect. The story ebbed and flowed between climatic discoveries, danger and the mundane. The mystery was intense as it weaved in a thread of the past, influential players, law enforcement and the frustrations of adults not thinking a nine-year needs to hear details but Jasper is persistent. Jasper soon finds himself in danger, but stays the course and refuses to give up on his mother. We see him grow from a young child into a confident boy. Farm life toughens him up. Even I squirmed over some of the realities of farm life. It is so much easier to savor a steak when you are blissfully unaware of the details that brought it to your plate. Luke Daniels has quickly become a favorite narrator. From unique voices to tone he enhanced the tale. His voice for Jasper felt genuine, and I was impressed with his pronunciation of Indian words and phrases. Fans of historical fiction and mysteries will enjoy The Buried Book. It reminded me of To Kill A Mockingbird and the writings of Diane Chamberlain and Rachel Caine. I noticed this one on Audible and almost bought it. Looks like I should have. Good to know there’s still a deal for it. I’ll go check it out now. This sounds absolutely incredible… I LOVE books with young protagonists that are written for adults. Since I started out reading adult fantasy that is what probably drew me to YA books eventually. <3 You sold me… on the audiobook too. I like the sound (and narrator too) of this. Thanks for sharing your thoughts. It really pulled you into the story. The cover is so creepy! I like it. Also, is it weird that when I think of the 50’s it seems like just a couple decades ago? Like, no way that a historical book, but then, it truly is! I feel old today. I do like the combo of history and mystery with a boy’s journey. Not at all. 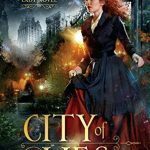 FYI, Lorna just grabbed it on eBook for 2.00 and added audio for 1.99. Sounds fascinating! That’s great that the author did well showing the story and these “adult topics” in the point of view of a 9 year old. oh looks like Luke Daniels has narrated a ton of books huh? this sounds like a great mystery in a farm setting. Gonna have to add this to my wishlist. This sounds like a gritty tale. What a determined young boy. Why is so strong in our human minds. You would like Coco. I loved the brightly colored animation. That was the first time my husband ordered the chicken fried steak; I had a piece; it was okay. I’m a fan of omelettes b/c of eggs and I do like veggies in them. Yeah, I am not a fan of the chicken fried steak. It’s ironic that you should mention “To Kill a Mockingbird” because while reading your review — perhaps because of the time setting — I found myself thinking of the little girl in “Mockingbird,” Thanks for the post. Yeah, it had that whole feel. I loved To Kill A Mockingbird. I must try Luke Daniels! I really enjoyed reading this one last year. The narration in the sample sounds great, so I’m almost sorry that I didn’t get to listen to it instead! that’s great and it looks interesting. This is a new one to me there. Thanks for sharing! I love a good mystery! Glad I could introduce you to it. Great cover and seeing I am from Michigan, the location makes it even more interesting. Btw, I just got the Kindle copy for $2.00 and added narration for $1.99. You can’t beat that price! Oh the things you add to my tbr and listen piles and lists! This sounds so good, I do love a great narrator. Thanks for yet another I need to add. This sounds really good. I would probably have to go for the audio myself since I love Luke Daniels. Thanks for putting this one on my radar! Jasper sounds amazing, so strong for a young boy. I think I’d enjoy this one as an audio book too. Great review! As you know I have read The Dead Key and LOVED it. So this one has got to be read by me! I really enjoy her mysteries! Great Review. I am still trying to get used to audiobook … but still find reading a lot easier. Plus it’s a good model to show my kids books are good. 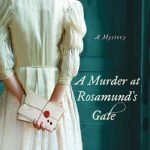 I don;t read many mysteries but a 5-star caffeinated review with a awesome narration is a MUST go on the TBR! Ooo I hope you do! I check them too but apparently did not look closely enough. Luke Daniels narrates The Iron Druid series, I think, and I loveee that series! This sounds so gritty and I am impressed the author made such a young POV work so well in such an intense story.